ALToIT: Riso Al Forno (baked risotto) Print Prep time 5 mins Cook time 55 mins Total time 1 hour Baked Risotto is something that almost everybody cooks at least once in their Thermal Cooker, and while the quick chuck-it-all-in versions are delicious, baking it in the oven gives the most traditional end product. This baked risotto bursts with flavour from the pesto stirred through on serving. 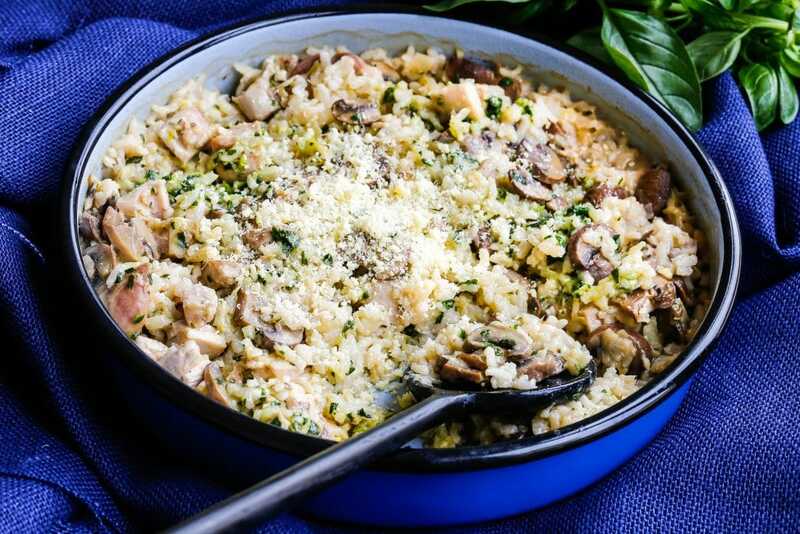 Author: skinnymixer's Recipe type: Dinner Cuisine: Italian Serves: 6 Ingredients parmesan cheese garlic fresh basil leaves leek arborio rice chicken thigh Swiss brown mushrooms dry white wine chicken stock concentrate Instructions This recipe is exclusive to A Little Taste of Italy - Buy now to receive the immediate eBook Notes This recipe has Dairy Free, Low Carb, Super Skinny/Paleo, Vegetarian and Low Fodmap variations. Nutrition Information Serving size: 250g Calories: 332 Fat: 11.2g Saturated fat: 3.1g Carbohydrates: 39.1g Sugar: 1g Sodium: 875mg Protein: 15.4g 3.5.3251 The post ALToIT: Riso Al Forno (baked risotto) appeared first on skinnymixers.